When you have someone who’s fascinated with home décor on your Christmas list, you’ll give them some satisfaction with a gift that’s creative and distinct, but matches their interests. Start with this list of decorative Christmas gifts to get some ideas. Despite the proliferation of cell phones, clocks still have an important place in the home, as they fill an essential function with a single glance. If you do a little hunting, you’ll find an almost limitless variety of clocks in any motif you can imagine. Depending on your budget, grandfather clocks, mantle clocks, and wall clocks can be very decorative and unique. Some of them are also highly valued antiques. These can add a sense of style all over the house. They could completely change the look of a room with different colors, textures, shapes, and patterns. They are also highly functional. Throw pillows provide comfort while area rugs can neatly section off parts of a larger room, or draw the eye to a particular location. If you have a friend who likes snuggling in on the couch or has bare patches of floor, a decorative pillow or rug could be an ideal gift. Rain chains from a site like Monarch Abode are a great gift idea from Japanese culture. A rain chain takes the place of a downspout to channel run-off rain water from the gutter down the length of the chain. They can be quite beautiful, forming a sort of gravity-fed fountain with arrangements of small bowls, different sizes and lengths of chain, and any number of decorative additions. They can be both practical and very relaxing to watch. These are too-often overlooked today, but bookends are a classic gift for anyone with books on their shelves, whether it’s two books or a hundred. They also come in a variety of motifs and materials, from sculpted bronze to gleaming crystal. They can also help to organize other things, such as old vinyl albums, DVDs, and more. Check out what’s on the shelves of the intended recipient and note what they like, whether it’s Hemingway or fantasy movies. 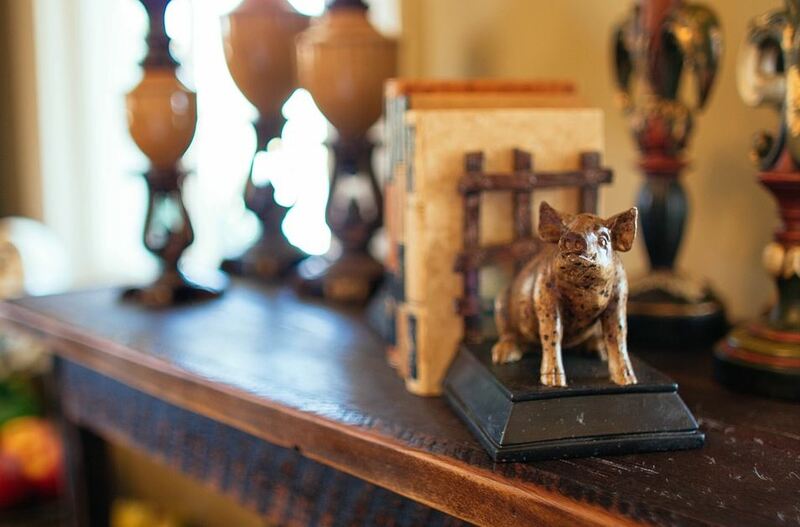 Then look for a striking pair of bookends that fits the category. You can get a good idea of a person’s taste with just a glance around their home. Hanging wall art can take any number of forms, such as oil paintings, tapestries, black and white photos, or carved wooden pieces. You can find some very original ideas, especially online. Whatever you choose, remember you’re not buying for yourself. Find something that matches the recipient’s interests and home color schemes. Prized sentimental possessions can become keepsakes that enhance surroundings for years into the future. Your imagination is the only limit.